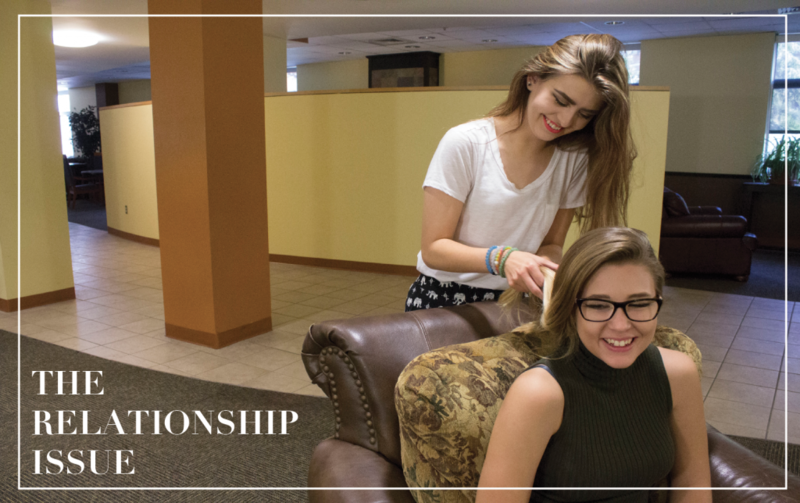 How to be a Quality Best Friend | Grand Central Magazine | Your Campus. Your Story. It’s that time of the year – love is in the air. For it is February, the month of love for obvious reasons – Valentine’s Day. Now, who do you celebrate on Valentine’s Day? Your significant other usually, correct? But what about your best friend? Because let’s face it, no one will have your back during the also emotional month of love better than your best friend. To make sure that they are cherished, we must know what makes a quality best friend. What have you done lately to prove yourself as a quality friend? Are you putting in the same amount of effort as they are? If not, start! Nothing hurts more than one person being the only one reciprocating the effort and the other finding out they’re not giving any love. In some friendships, people take each other’s presence for granted. Friendships are like houseplants – they have to be watered if you want them to grow. Once you are friends with someone for so long, you often think you know everything there is to know about that person. To avoid this, never stop asking questions because everyone has a story to tell. Sometimes, it may seem easier to be together in a large group setting to avoid awkward silences. Take a break from that once in awhile. It is good to have one-on-one time with one another, whether it’s watching “Freaks and Geeks” like you used to in high school together, or going to see “Fifty Shades Darker” together on Valentine’s Day. Be sure to sit in the back corner of the theater so you upset the couples that hide out up there. We all get excited sometimes during conversations with friends, but there is such thing as too excited. Be sure that when you are talking in run-on sentences, you leave enough pauses for them to chime in, too. No one wants to hear your vocal monolog. There are plenty of ways to tell your best friend that you love them. Whether it is finding an awful movie on Netflix and muting it so that you can commentate it together, or showing up to their work with their favorite take-out food. Bring them coffee in the morning when you pick them up for school like my best friend used to always do for me. There are plenty of ways to show your love towards them, but it’s important to tell them, too. When you are out having lunch, shopping or just taking a road trip, put your phones away. Give them your full attention. Nothing is worse than wondering if they are laughing at the joke you just told or the meme they just saw on Twitter. If people lived without the constant use of technology 20 years ago, you can too. Nothing is better than looking back at memories with your best friend. Look at old photos, or search for the joined Facebook the two of you made together back in middle school. It’ll give the two of you a good laugh and remind you how you became friends in the first place. The list could go on to ensure you are being the best friend you can be. It is important to remember those true friends will be there when relationships fall through. Keep that in mind throughout the month of February. Separator image Posted in Advice, Opinion, Opinion & Advice, Relationships & Advice and tagged with friendship, Opinion and Advice, Shelbey Pena.